The new “Private Equity Insight/Out” replaces the former “Capital V” magazine, which has been published by the LPEA since 2013. As Private Equity and Venture Capital enjoy significant growth in Luxembourg, we take this opportunity to rebrand our publication as a fresh way to communicate with private equity professionals in Luxembourg and abroad. We trust you will appreciate the new approach. 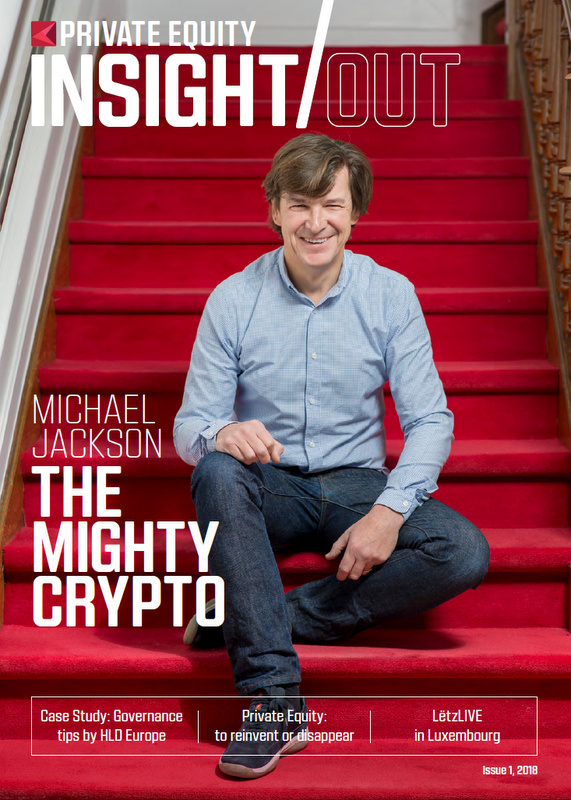 Our cover article in this edition focuses on the “mighty” crypto assets which are already rippling through the venture capital sector. Despite the popularity and volatility of crypto currencies, crypto assets – and notably initial coin offerings (ICOs) – are deemed to stay and have a greater impact on the financing process. In publishing a report on ICOs and tokenisation, Mangrove’s Michael Jackson questions the entire VC industry. In this edition we also take the opportunity to interview the Luxembourg team of HLD Europe, a French group building an international investment platform from Luxembourg – its operating model allows for a governance takeaway.